Over the past 60 years we have developed a reputation for being the leading liner manufacturer, supplier and installer in the UK for ponds, lakes and lagoons. 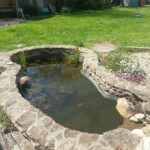 We have an enormous amount of experience of all types of applications; from the smallest garden pond to the largest lake; from the simplest natural shape to the most complicated formal pond; from functional irrigation lagoons to the most decorative designs. Our philosophy is simple – provide the best quality at the most affordable prices. 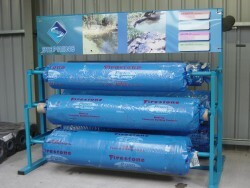 We only use quality lining materials, such as Firestone, EPDM, Butyl and top grade PVC. This means that our customers are only offered the finest quality of lining materials. 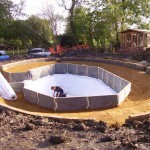 Where required, our highly skilled team can install the liner for you. 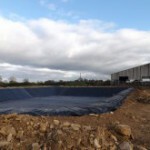 Dependant on the size of the project, our expert installation team can help install the liner onsite. 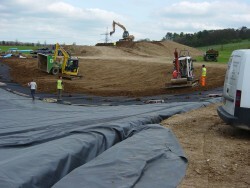 Please feel free to browse the site for more information about our liners. Alternatively, visit the download page to view a brochure, or contact us directly to discuss your project in further detail.